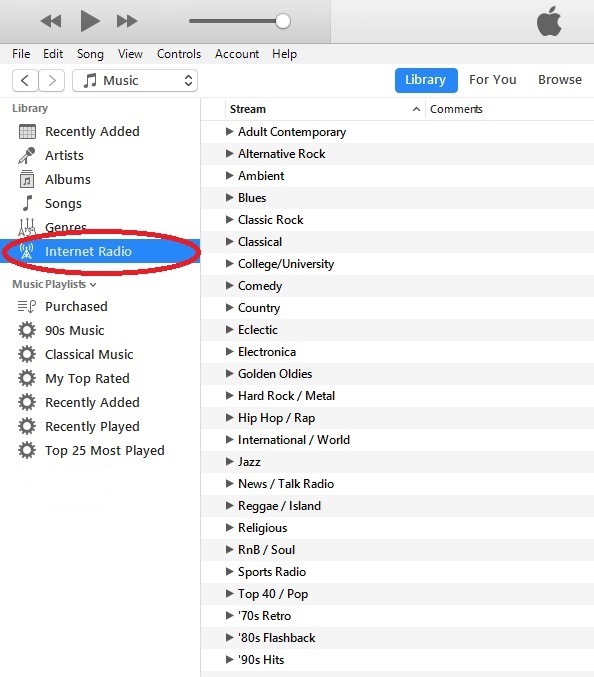 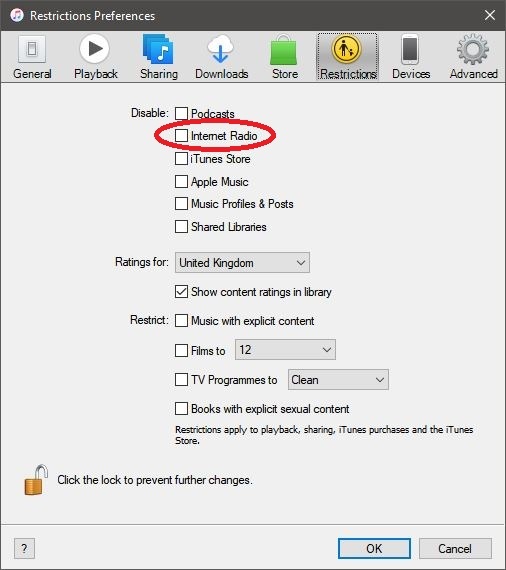 In the RESTRICTIONS settings, ensure INTERNET RADIO is UNTICICKED. 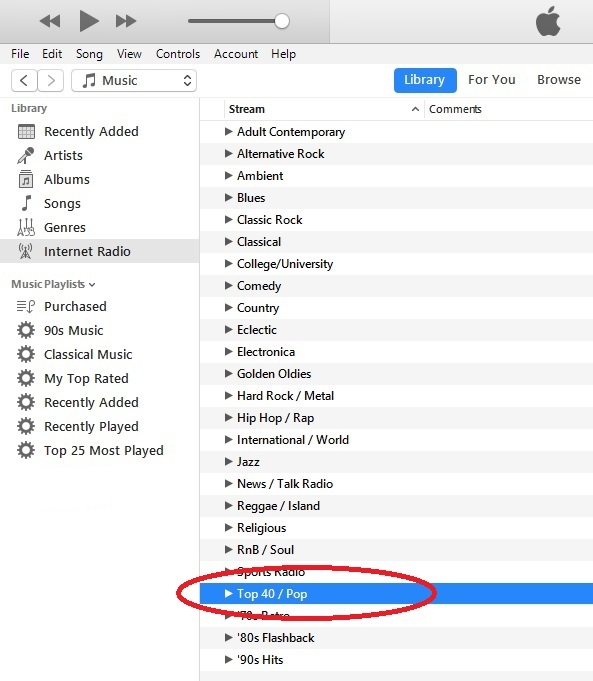 Click on TOP 40 / POP from the list of Genres. 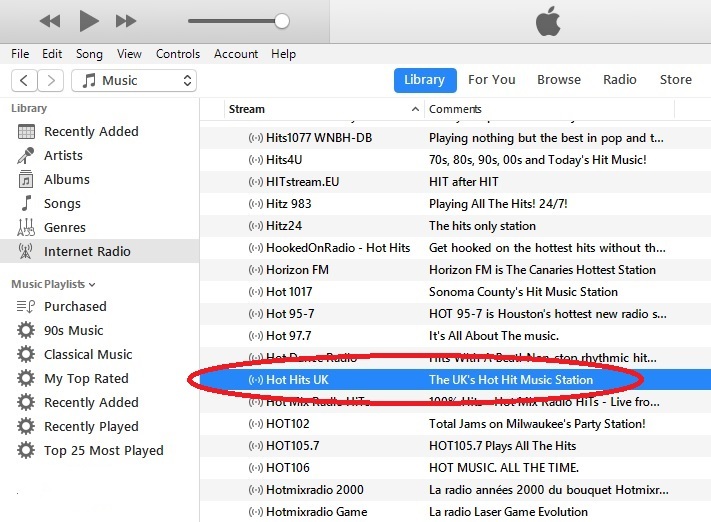 Scroll down the list of radio stations until you find Hot Hits UK. 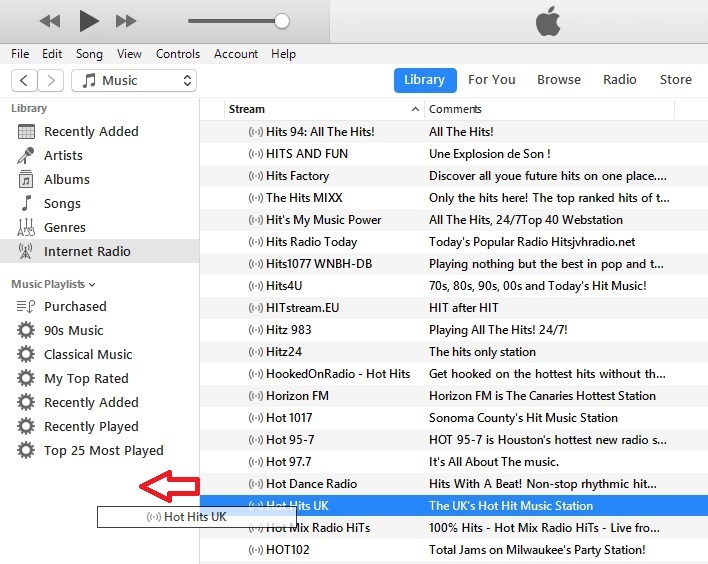 You can now click on Hot Hits UK with your LEFT mouse button, hold it down and drag Hot Hits UK across to the list of PLAYLISTS. 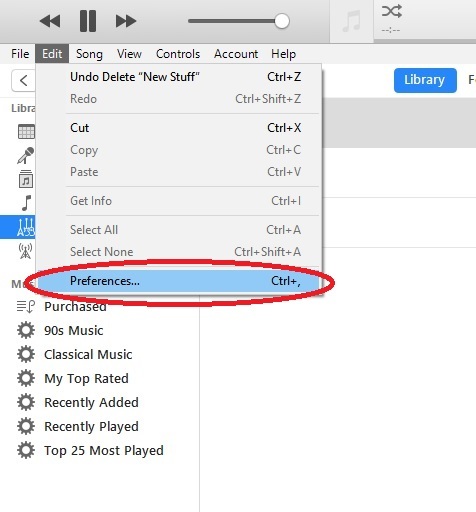 You how added Hot Hits UK to your PLAYLIST options you don’t have search for it each time.